Everyone loves a simple holiday recipe, and today I am sharing one of my favourites. 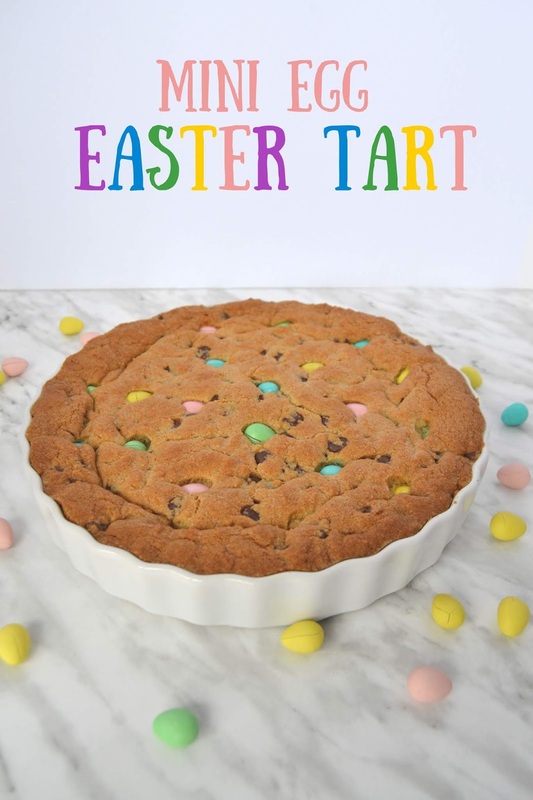 Your family and friends will love the simplicity of this delicious soft and chewy chocolate chip mini egg Easter tart. It's easy to make, and it's full of chocolatey goodness! Doesn't this look delicious? 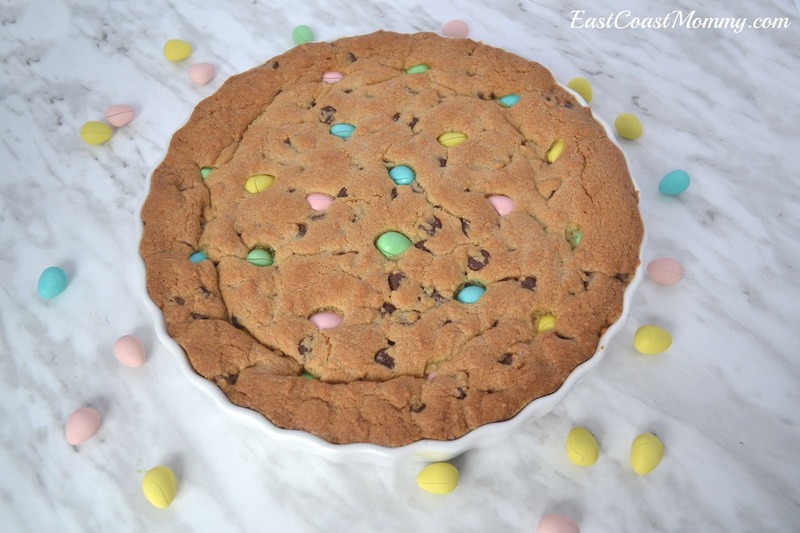 It's basically a giant chocolate chip cookie filled with candy covered chocolate eggs. To make this easy and impressive cookie tart... start with my favorite soft and chewy chocolate chip cookie recipe (which you can find here). 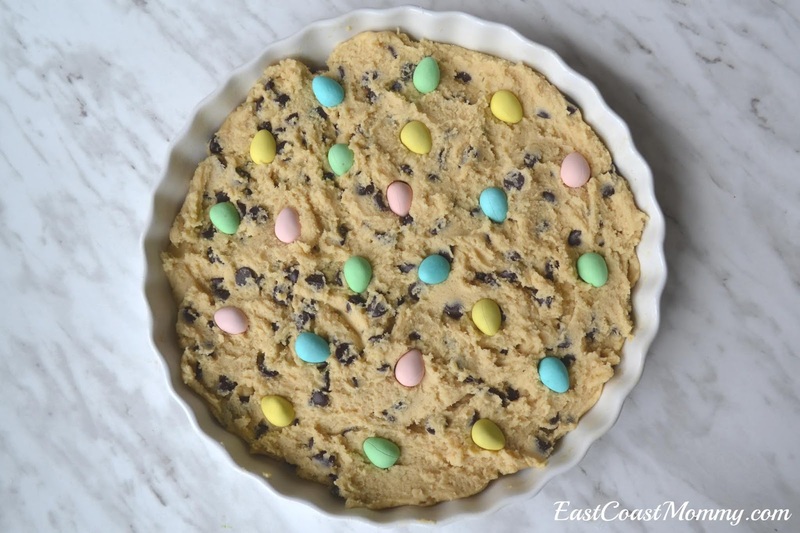 Then, scoop out a dozen cookies, and press the rest of the cookie dough into a well-greased tart pan. Finish by pressing some candy covered chocolate mini eggs into the top of the dough. I baked my chocolate chip cookie tart for at 325 degrees for 40 minutes... but I would suggest 40-50 minutes (depending on your oven and the thickness of your tart). This giant cookie was a huge hit with my boys. It makes a fantastic Easter dessert, and it pairs perfectly with a glass of cold milk or a hot cup of tea or coffee. I highly recommend giving this yummy treat a try in your house. 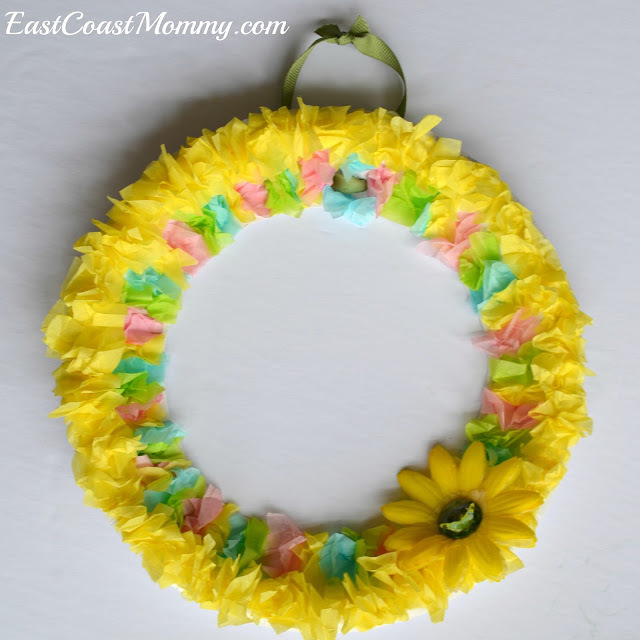 You will not be disappointed with mini egg Easter tart. When it comes to holiday entertaining (or just celebrating at home), simplicity is key. 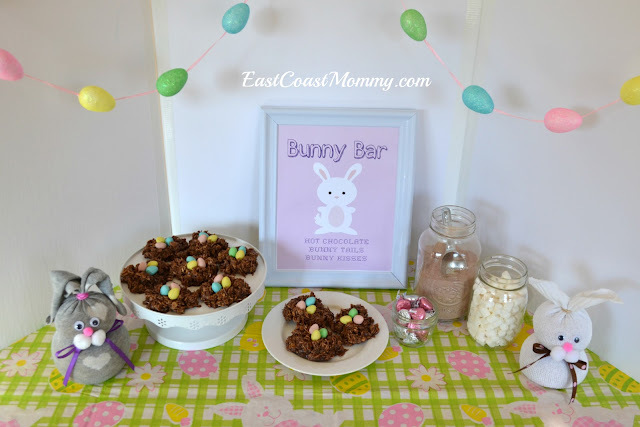 For Easter, a bunny bar is the perfect way to serve family and friends. 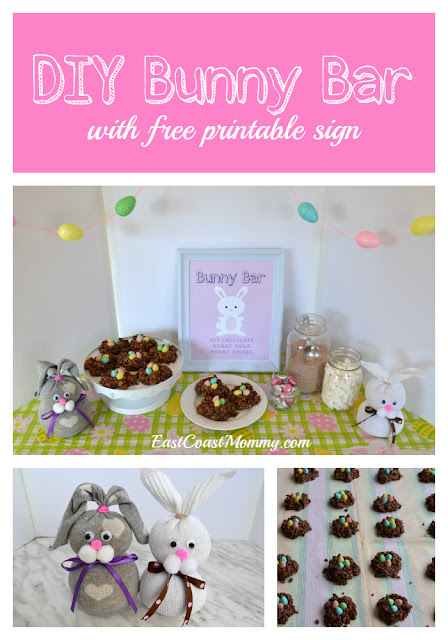 Today, I am sharing the details of my easy and inexpensive bunny bar, including a free printable sign. 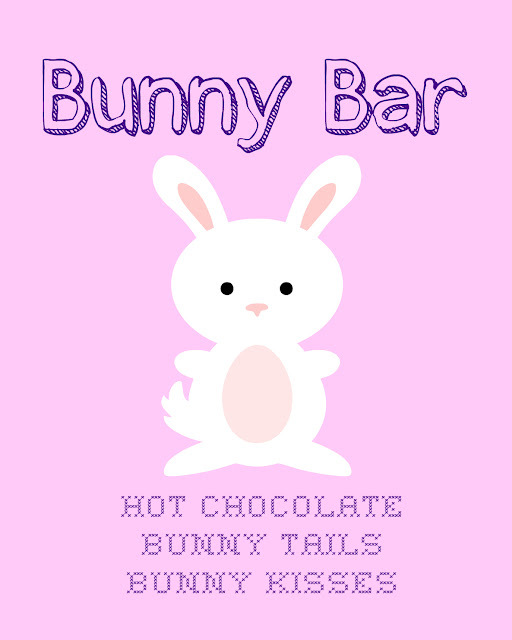 To download the bunny bar sign I designed: click on the photo below, right-click, save it to your computer, and print it like a regular 8x10 photo. 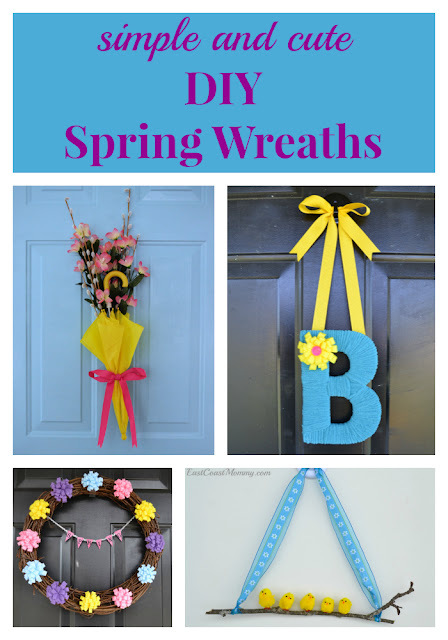 The sign looks adorable in an inexpensive dollar store frame, don't you think? Display the sign with hot chocolate, bunny tails (marshmallows), and bunny kisses (Hershey kisses). 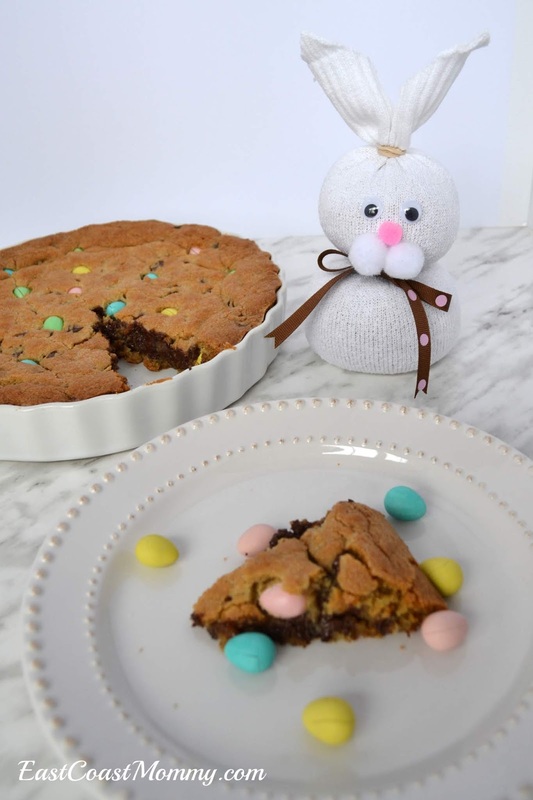 And an Easter buffet needs some festive cookies. You can find my favourite Easter treats here. 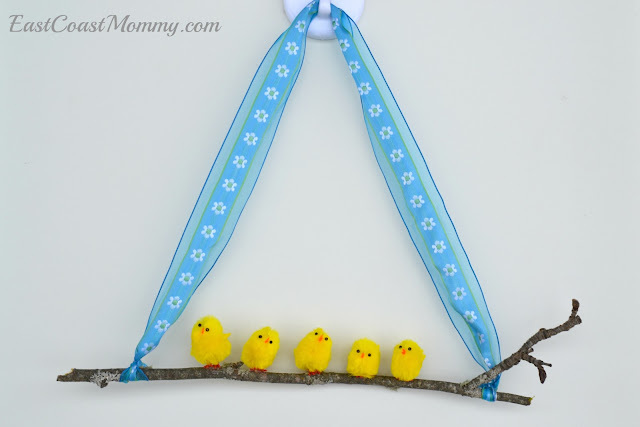 I also love the idea of decorating the table with some homemade Easter decor. 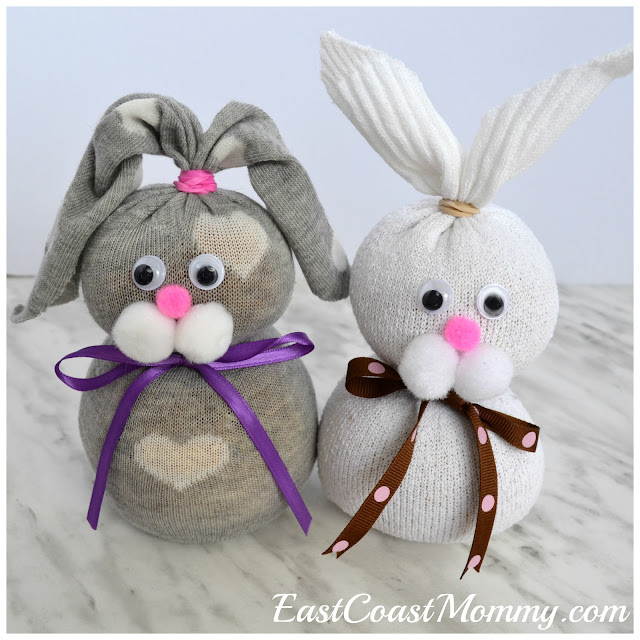 How cute are these "no sew" sock bunnies? Look how cute everything looks when it's displayed on a table with a dollar store tablecloth. I'm pretty sure you could put this whole buffet together for less than $20. Awesome, right? 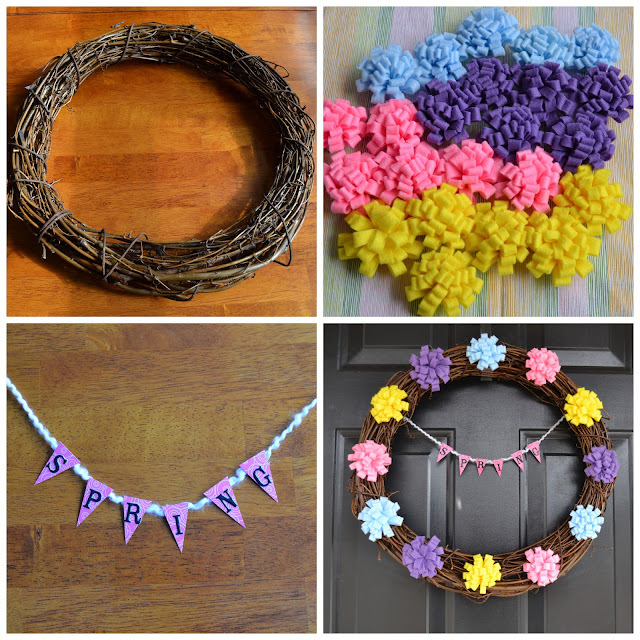 Are you entertaining family and friends this Easter? I highly recommend setting up this simple bunny bar. 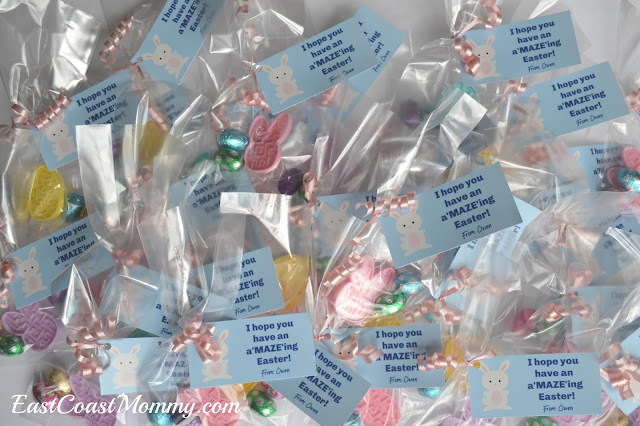 Sharing Easter treats is a fun way to celebrate the holiday. 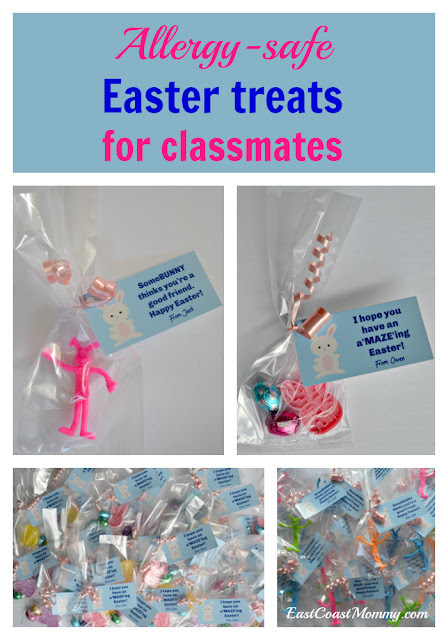 My boys love sharing goodies with their classmates and friends, but we are always concerned with allergies because we never want to make anyone feel excluded. 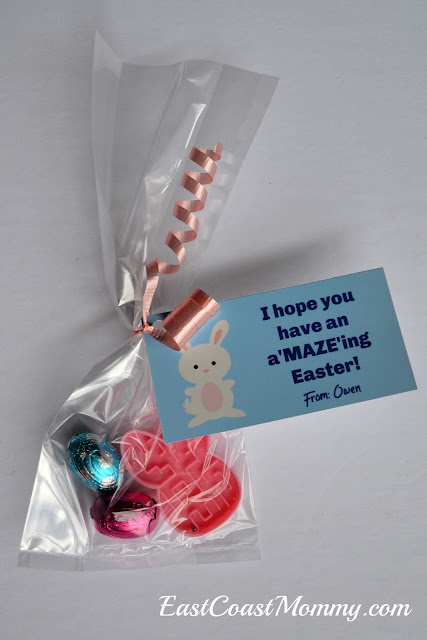 This year, my boys picked out some cute dollar store trinkets, and I designed some super-cute packaging. Today, I am sharing their choices for this year and the free printable tags we are using. 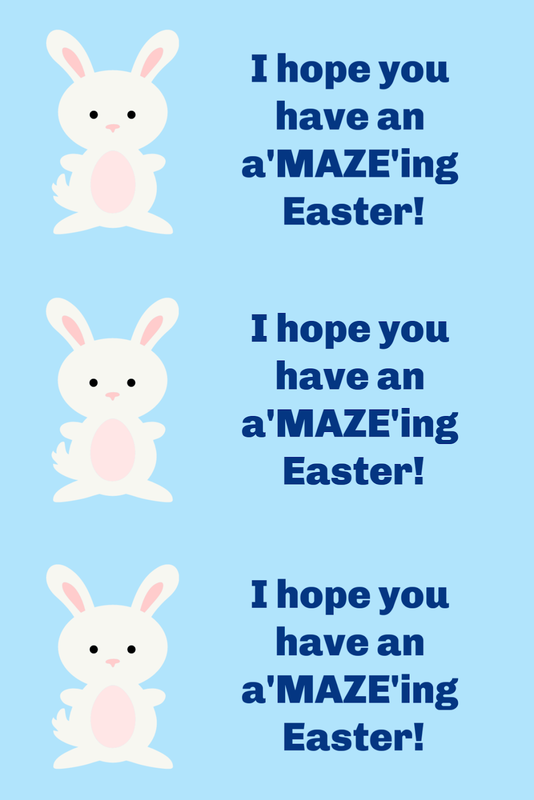 My middle son chose these little Easter "mazes" that we found at the dollar store. 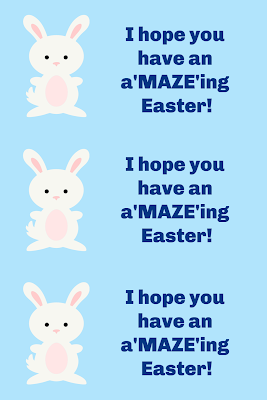 We added a couple of nut free chocolate eggs, and we attached a tag that says, "I hope you have an a'MAZE'ing Easter!" Cute, right? To download the tags I designed: click on the picture below, right-click, save it to your computer, and print it like a regular 4x6 photo. 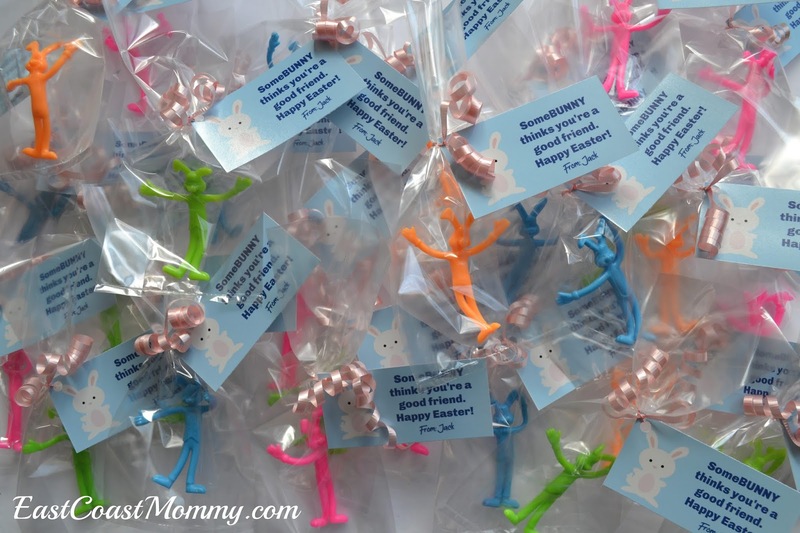 I love how cheerful these little treats are, don't you? 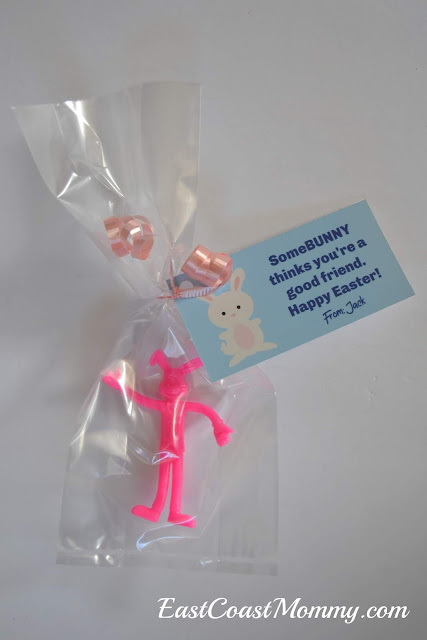 My youngest son opted for these little stretchy bunnies. I packed them in clear cellophane bags, and I added a tag that says, "SomeBUNNY thinks you're a good friend. 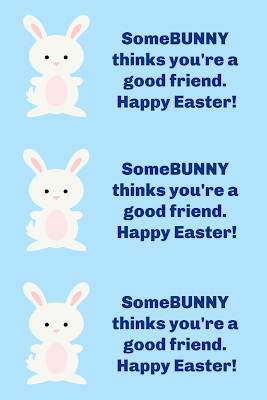 Happy Easter!" 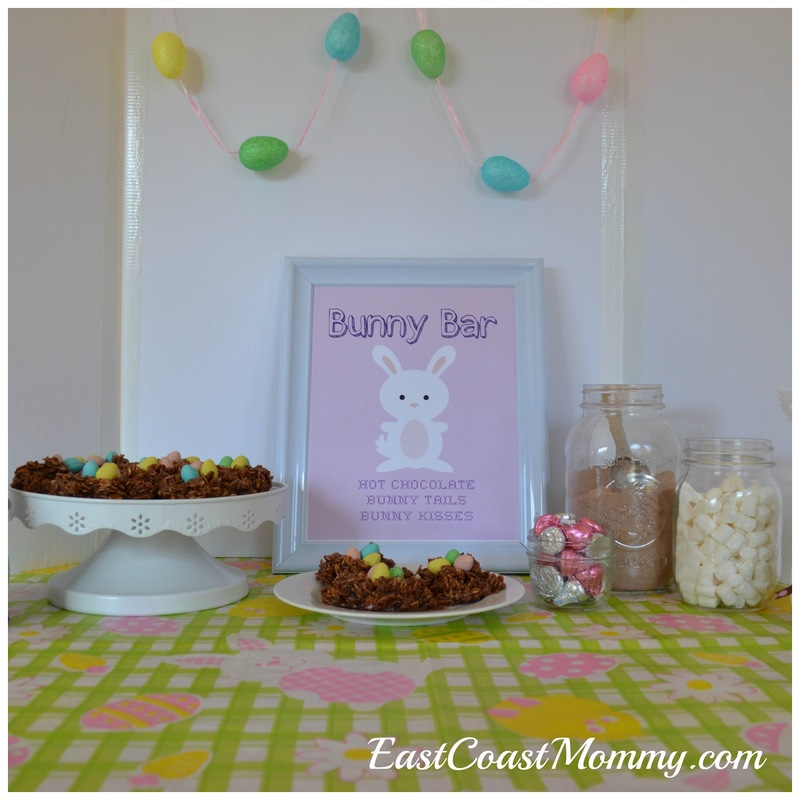 Isn't this a sweet Easter treat idea? 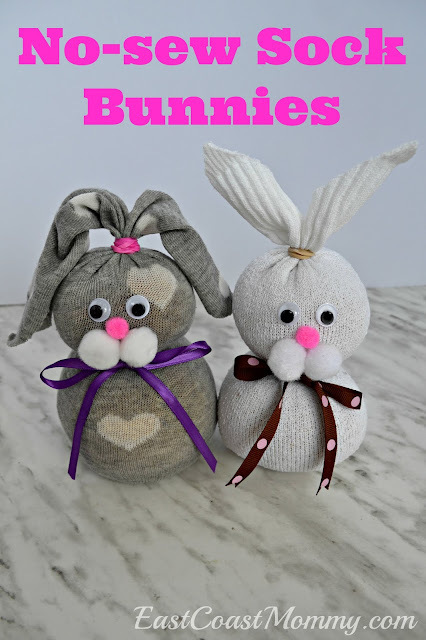 Seriously... who wouldn't love sharing these adorable bunnies with their buddies? 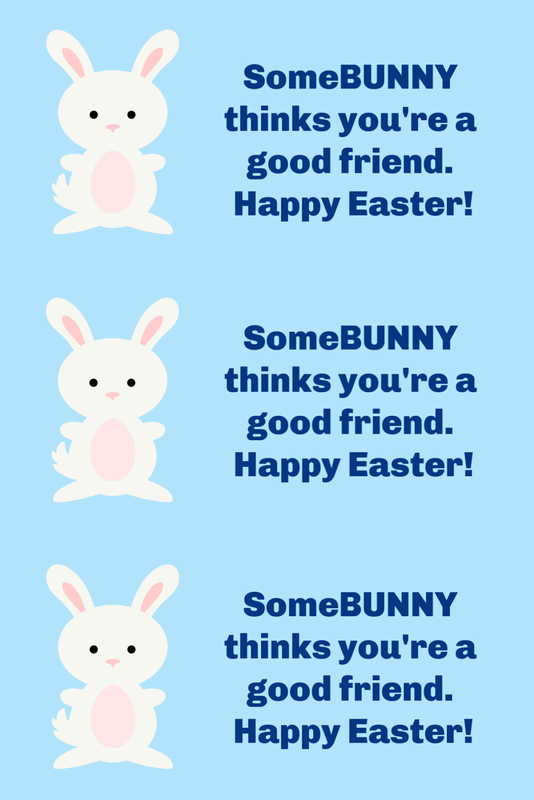 Do your have kids like to share Easter treats with their friends? 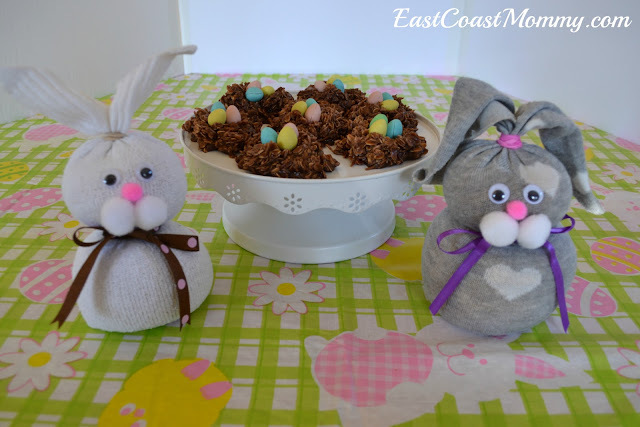 These allergy safe Easter treat options are easy, inexpensive and fun. How will you be spreading joy this holiday season? As a seasoned hockey mom, I am no stranger to holidays that revolve around hockey. So, when Easter rolls around, hockey themed Easter baskets are a must. 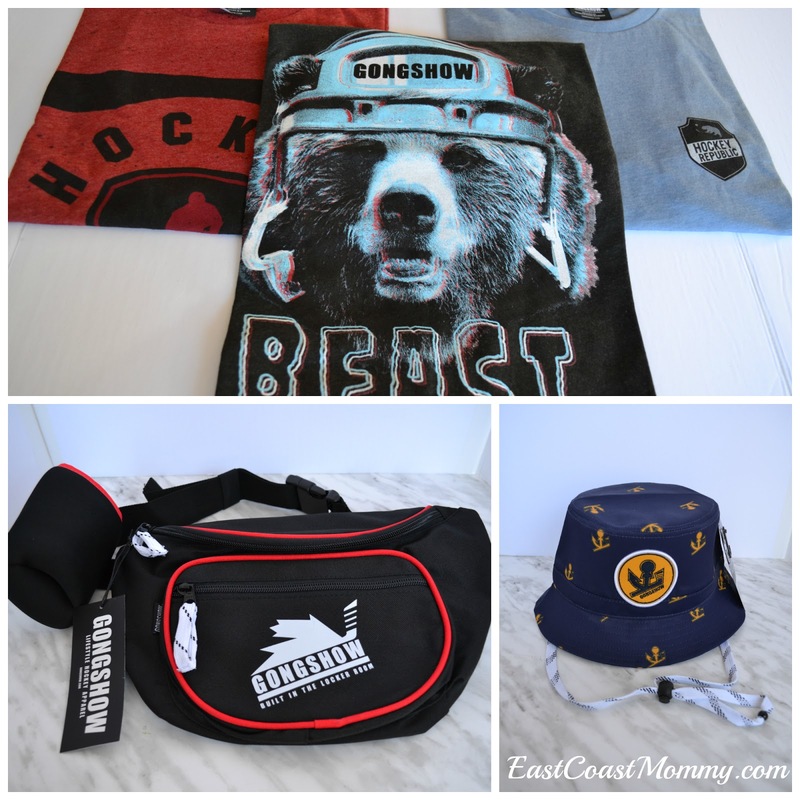 This year, I was inspired by Gongshow's new Spring/Summer 2019 line of awesome products. 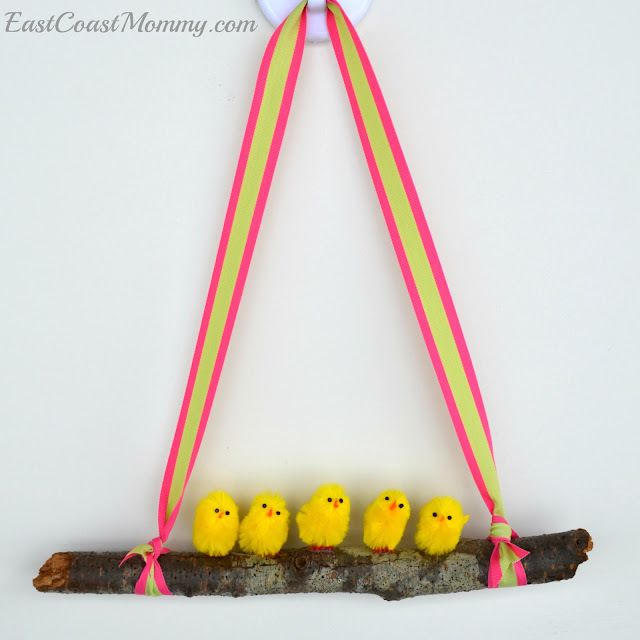 You are going to love how I made my boys' unique Easter baskets. Keep reading for all the fun details! First, I headed to the Gongshow website and picked out some cool gear for my boys. We're going on a cruise, so I was super-pumped to find sun hats with anchors on them. 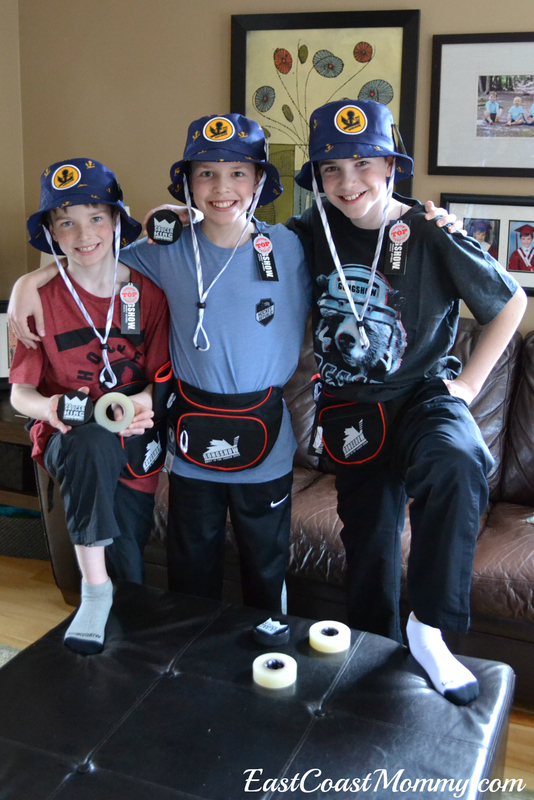 They will protect my boys from the sun... and they are cool, so they will actually wear them. 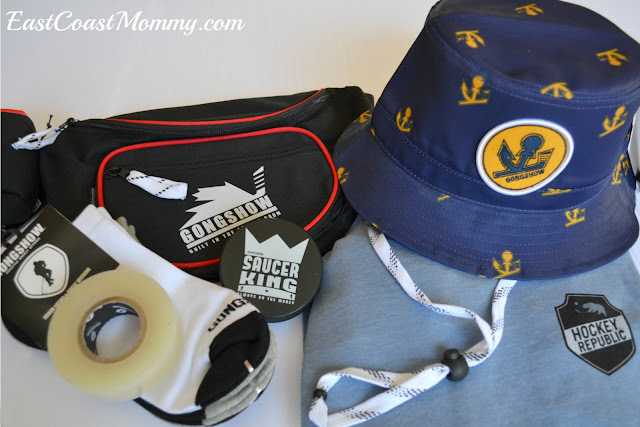 My favourite finds were these t-shirts, fanny packs, and sun hats. I also picked up some summer socks, pucks, and hockey tape. 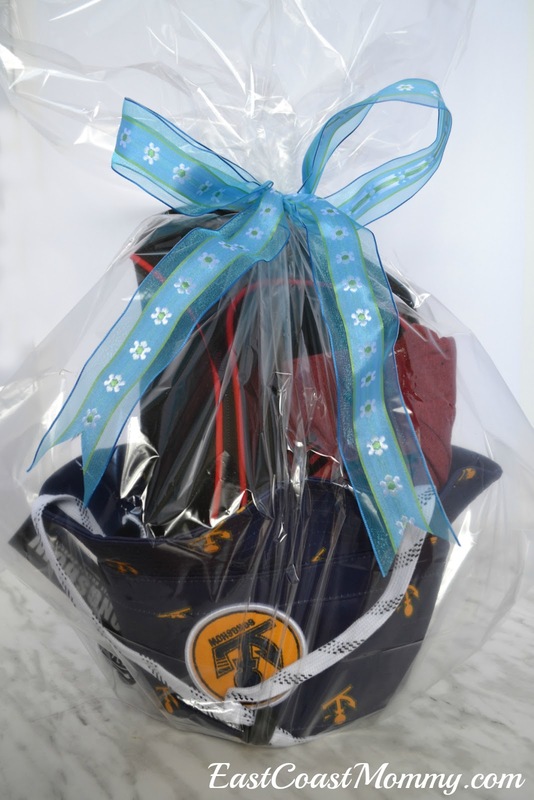 Then, I flipped the hats upside down to make super-cool "Easter baskets", and filled them with my purchases. Cool, right??? 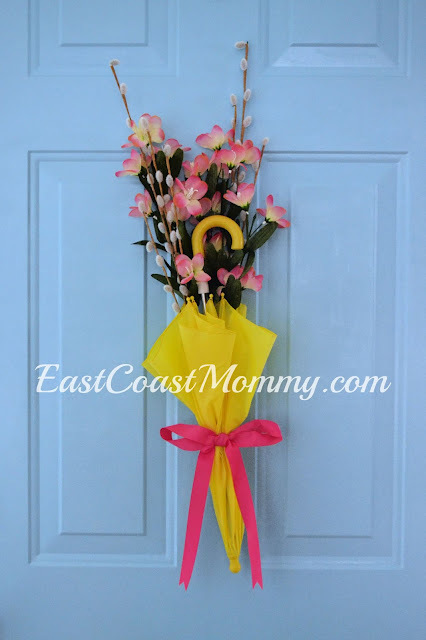 Isn't this so much better than a boring, traditional Easter basket? 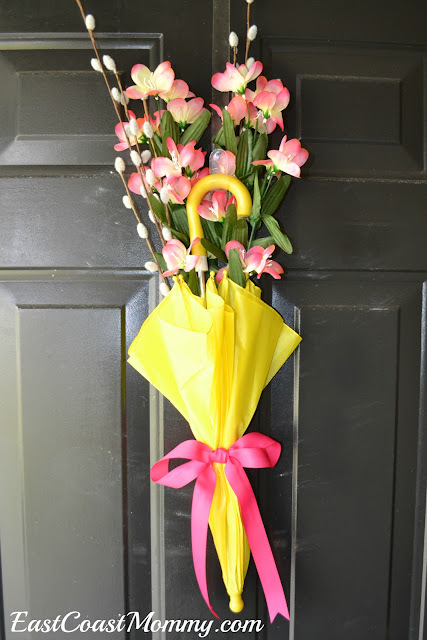 You could leave the baskets "as is", but I wrapped mine in cellophane and added pretty ribbons. 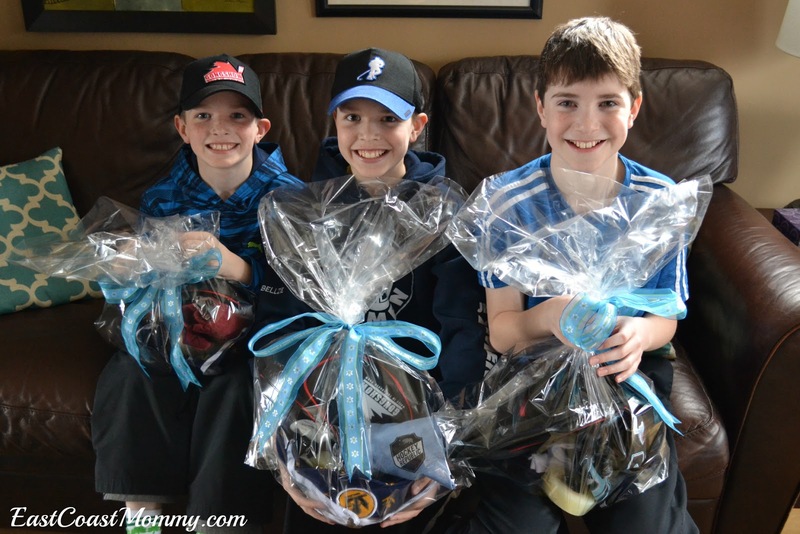 My boys LOVED their baskets. Look at those smiles! 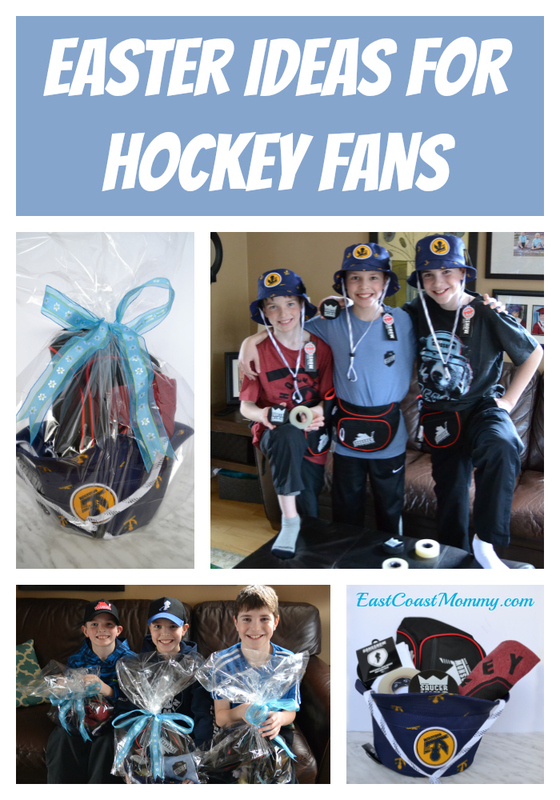 If you have a hockey fan in the house, I highly recommend creating your own hockey-themed Easter basket this year. Everything on the Gongshow website is high quality, functional, and super-cool... and if you order it now, it will arrive before Easter. 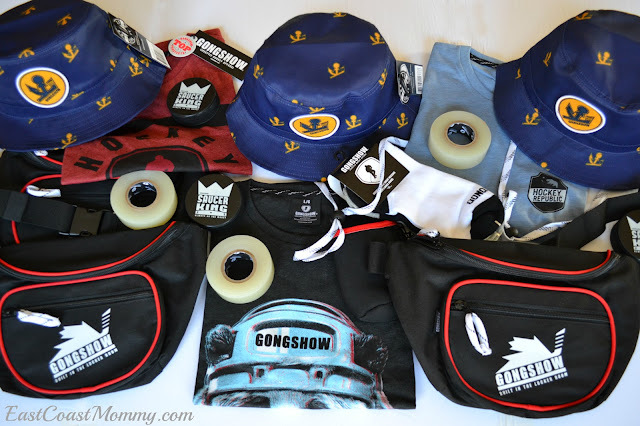 *Disclosure - I was given GONGSHOW products for free in exchange for my honest review and promotion of the products. As always, the views expressed on this blog are 100% my own... and my boys genuinely loved everything they received.